As the world gears up to herald 2015 with all the innovative promises that it is expected to bring, Starbucks Corporation (NASDAQ:SBUX) has thought of ushering it in with a technological brew, namely enabling customers to place an order for their favorite latte on their smartphones. Therefore, rather than stand in long queues outside the joint, all that the customers will be required to do is download the app on their mobile phones and use it to order and pay for their cuppa beforehand. In an era wherein mobile payments are soon becoming a norm and are being increasingly incorporated by many well-known global names, this decision of Starbucks Corporation (NASDAQ:SBUX) is apt in terms of keeping up with times. While Square is the only chain that offers this option to customers in New York and in a few select outlets in San Francisco, Starbucks Corporation (NASDAQ:SUBX) has decided to kick-start its version at City of Roses, Oregon. By the time the year 2014 draws to a close, there will be an estimated 150 outlets in Portland alone which would allow customers to place their orders before arriving at the outlet. 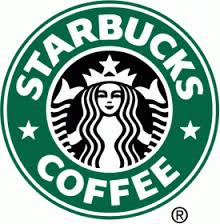 Given the fact that as much as 15% of its sales occurs on mobile devices, it is but natural for Starbucks Corporation (NASDAQ:SBUX) to graduate on to this next step. So in case you are running late in the morning or are expecting to wait for a long time to get your tray owing to weekend rush, using your mobile would definitely save you time. In fact, it will also save you money provided you join the loyalty program offered by the company and accrue stars and rewards in lieu of every purchase which is made. The scheme introduced by the company is meant to encourage customers to pay for Starbucks Corporation (SBUX) from their mobile devices while on a holiday, the reward being that doing so would make them eligible for ‘Starbucks for Life’ program. Having become a member of this program, anyone who buys a grand latte every day for the next 76 years is likely to pay $113,880, which is significantly less than what it would have otherwise cost. With online shopping having become a trend nowadays, Starbucks Corporation (NASDAQ:SBUX) hopes that this introduction will boost its sales in spite of less people venturing out of their homes.